Static electricity is an electrical charge that is at rest. This is mainly created by an imbalance of electrons that stay on a specific surface, or in the environmental air. The imbalance of electrons (in all cases, is caused by absence or surplus of electrons) thus causes an electrical field that is capable of influencing other objects at a distance. The level of charge is affected by material type, speed of contact and separation, humidity, and several other factors. The ESD effect can be seen easily in every day life, while it could always been hardly detected. The electronics industry is badly affected by esd or electrostatic discharge. Let us discuss ESD in detail. 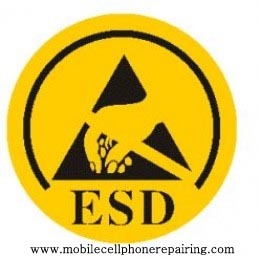 In mobile cell phone manufacturing and repairing industry, eds-safety is a must because electronic components used in mobile phones are very sensitive to static charge and can get easily damaged if they come in contact with static electricity. Triboelectric charging occurs when two materials are separated after coming into contact with each other or any rubbing activities. The charging thus takes place during the transfer of electrons from one material to another. Triboelectric charging can happen between any materials such as solids, liquids and air particles. Whenever an object is electrostatically charged, an electrical field associated with that charge is created around it. Once an ungrounded sensitive device enters the electrical field, a charge is induced on the device, causing a surging transfer of charges between the two bodies. This transfer of charges thus resulted in catastrophic failures, which leaves the device destroyed permanently. Electrostatic discharge can change, degrade or destroy the electrical characteristics of electronic devices such as integrated circuits and electronic components. Therefore effective static control is crucial, in order to protect products from undesirable damages. Many instances, people at work are one of the key generators of static electricity. The simple act of walking or repairing a Printed Circuit Assembly is sufficient to generate thousands volts on the body. It is obvious that personal grounding is the first step to effective static control. 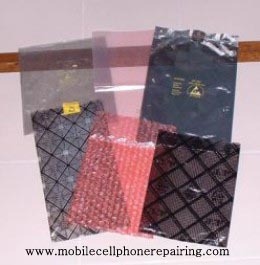 Packaging materials such as Static Shielding bags, Conductive bags, ESD containers and boxes provide direct protection of devices from electrostatic discharge. The principal use of these packaging materials is to protect the product when it leaves the ESD protected facility. The main ESD function of these packaging materials is to eliminate or minimize the possible impact of electrostatic discharge created from triboelectric charging, direct discharge, and electrostatic induction fields. When proper worn and grounded, a functioning wrist strap keeps the human body near ground potential, thus preventing hazardous discharge between bodies and objects. 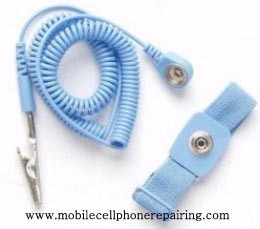 Wrist straps allow safe dissipation of charges from the body to ground. A good combination of ESD floor materials and proper footwear provides a grounding path for dissipating electrostatic charges generated during walking. The use of ESD floor materials is particularly appropriate in those areas where increased personnel mobility is essential. Clothing is an important consideration in most ESD protective areas, particularly in dry environments. 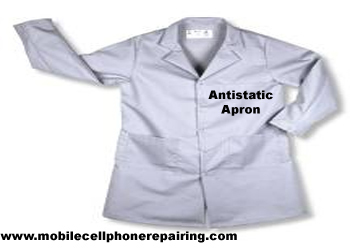 Grounded static control garments are recommended to minimize the effects of electrostatic fields or charges that may exist on a person’s clothing. Proper ground of workstations plays an important role in protecting devices from electrostatically induced damages. 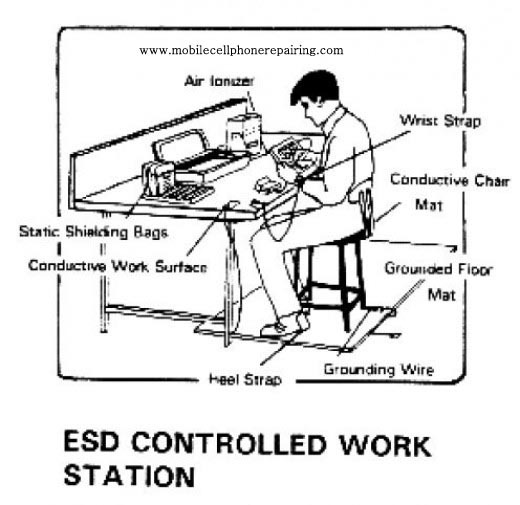 ESD table mats, grounding cords and awareness signs are key elements in an electrostatic protective workstation. Air ionization can neutralize the static charges on insulated and isolated objects by charging the molecules of the gases in the surrounding air. Static charges that exist on any surface can be neutralized by attracting opposite polarity charges from the air.